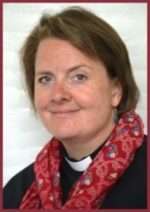 Rebecca is the vicar of Bourne End and joined the team in May 2017. Previously she was the assistant curate of the Itchen Valley Parish, four villages east of Winchester. Before ordination, she worked as a teacher and museum curator with history and museums remain passions of hers. She is the devoted aunt of two beautiful nieces and three gorgeous godchildren (aged 16 years – 4 months) who all bring much joy. Rebecca is also the vicar of St Michael and All Angels, Sunnyside our sister church, and is excited about what God will do in us, through us and for us Bourne End and Sunnyside and is thanking God for the privilege and joy of coming to serve as our new vicar.